I just don't think SSD is that cool of a feature. I mean I don't ever really think to myself "Man I wish I didn't have to wait 10 seconds for this game to boot up". Loading doesn't bother me that much unless it's unnecessary, which includes just about every Tom Clancy game. And this garbage. Even so, I can definitely see the desire to reduce them, but the technology is still way too expensive to justify anything other than an OS SSD and separate data drive in my book. Err, no. Like it's not something I'd pay a hundred dollars for 30 gigs. I thought SSD didn't improve the performance of games and miscellaneous programs much outside of loading times, and that an SSD was mainly for improving basic Windows functions? I just finished my custom machine. 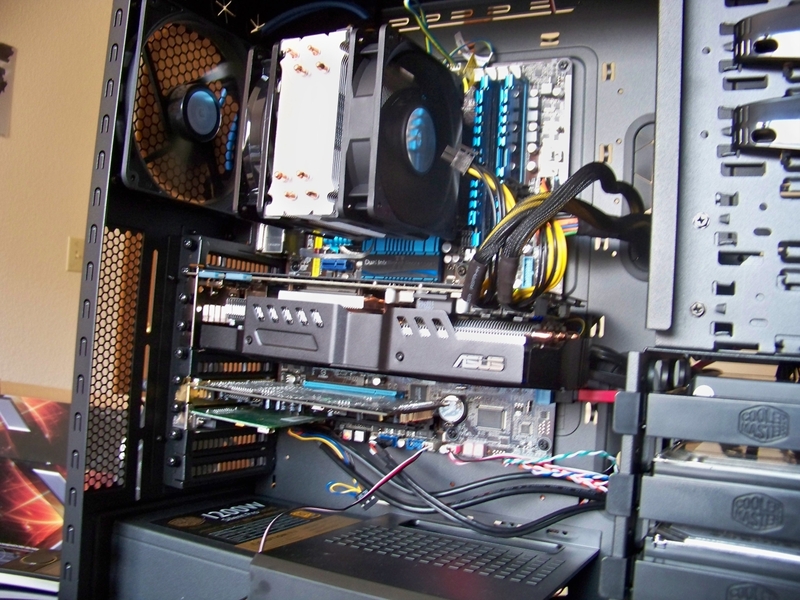 AMD 1100T, 4 GB RAM, and an Nvidia 460. An SSD will improve overall system performance pretty dramatically. Your hard drive is the slowest thing in your computer, and for all kinds of applications it's the most troublesome bottleneck that you're going to run into. For games it can noticeably reduce stuttering caused by loading textures into memory on the fly and dramatically reduce loading time overall. If you're plopping down for a computer and you want the best, there's no reason not to grab one. Right now they're running about $100 per 64GB, which is enough for your OS and a handful of games. For $200 you could get a 120GB one and have enough for pretty much all of your games (as long as you don't play MMOs). 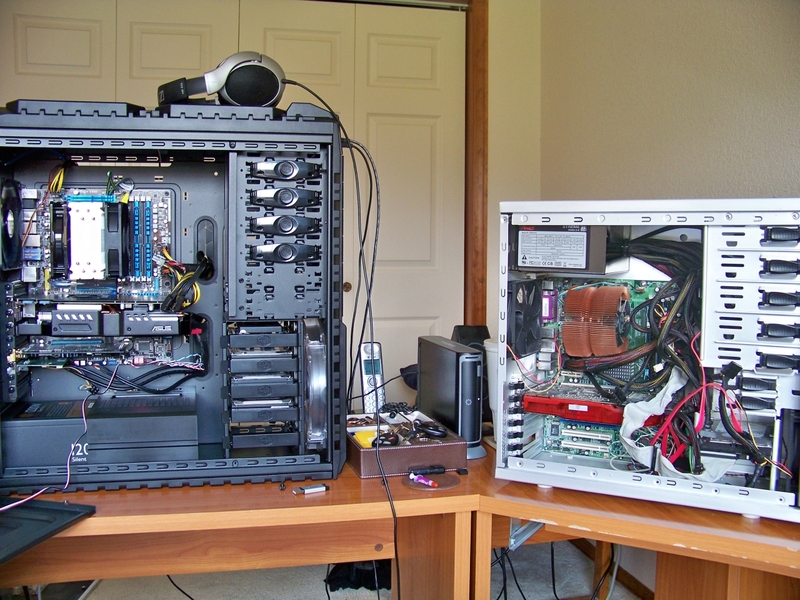 I'll probably be getting a 240GB Vertex 3 later this year when I build a new rig, after the SATA III SSDs have launched. "I'm poor guise I can't buy a new Exbawcks." Yup. I took out a loan to get it. My current gaming PC died on me, and it's been five years since I upgraded, so I figured it was time. So, why not get another $300 added to the loan and get you a new xbawx? I think the double post was to emphasize the idiocy. I have no other debt in my life currently and I can more than handle a 12 month differed interest loan. Deal w/ it. I wasn't thinking about it at the time but that's what I should've done. 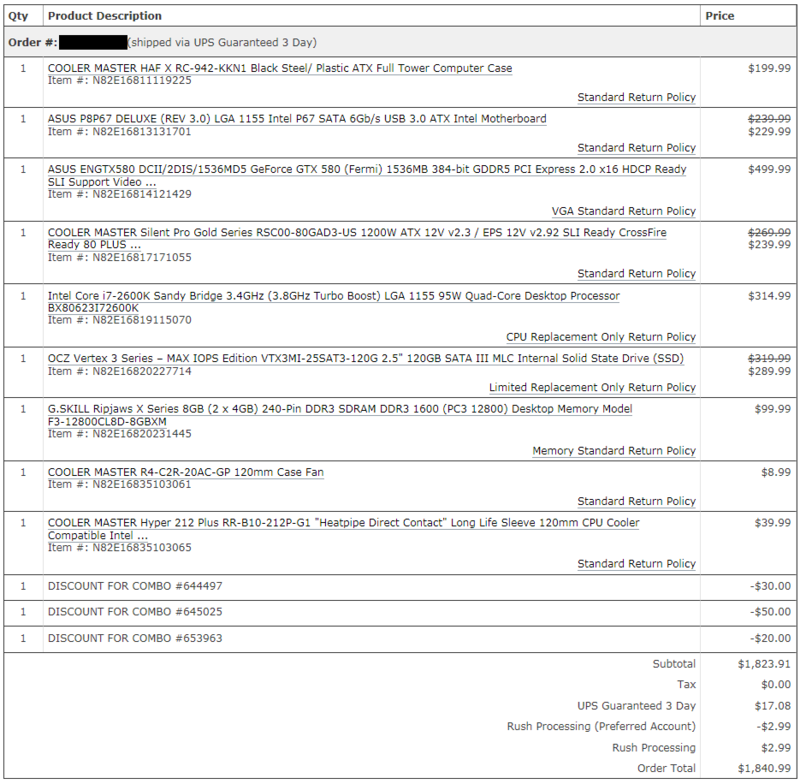 It's through Newegg so I'm not sure if I can change it or not. I will look into it. Edited by Gamble, 22 May 2011 - 11:13 PM. Congrats man. That sounds like a pretty sick PC. You gonna upload some pics when it's built? I will. Also, Tucker and Gumble, after I pay it down a little I'm able to add more. Not sure exactly how much I have to pay until they let me add another charge so we'll see.